Quotes we all need to read! Kim Wall and Peter Madsen – It’s actually the non-Muslim murderers you have to watch out for. They’re not to easy to identify. I’m sure you saw the news that the body of a 30 year-old woman journalist had been found in the sea near the Danish capital Copenhagen. Actually it took some time before police were able to identify the body because its head, arms and legs had been cut off. News items I have read don’t say whether the amputated body parts have been found. Apparently identification was carried out using DNA samples from her hairbrush and toothbrush. Kim Wall was a real journalist, a freelancer who wrote for The New York Times, Vice and Time, among other publications. She wasn’t murdered by a crazed Islamic fundamentalist. The most likely suspect seems to be a Danish engineer inventor, Peter Madsen. A spokesperson for Reporters without Borders issued a statement noting that no journalists in Turkey have yet been slain, mutilated, dismembered and thrown into the Bosporus or any other sea to the best of their knowledge. She went on to say that as a result of this attack on press freedom, Denmark has been moved up to second place on their latest list of dangerous places for journalists, threatening to overtake Syria, where reporters tend to be dressed up in orange overalls before having their throats cut. Well, actually I have to confess it’s not true. The last time I wrote something like that some people believed me. Denmark is ranked 4th on that Press Freedom Index, and Turkey 155th, but I’m watching out with interest for an update. I can’t believe this guy! John Bass, the US Ambassador to Turkey. 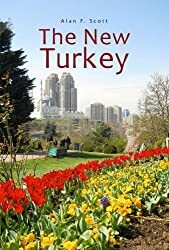 Last year around this time he was expressing his deepest sympathies for Turkey in the aftermath of the failed military coup – and more or less challenging suspicious minds to come up with a shred of evidence connecting it to his government in Washington. It sounded to me like the protests of a guilty conscience, but never mind that. We’ve left that behind, haven’t we? Except for those who continue, by what tortuous feats of logic, to insist that Turkey’s government tried to overthrow themselves by military force. But what’s the latest from Mr Blameless Bass? His team in Istanbul apparently hosted a reception last week to celebrate Independence Day, the genocide of their native people, the enslavement of black Africans, and the triumph of global capitalism. Ok, let’s be non-judgmental, and wish them many happy returns of the day. “We support the Turkish government’s ongoing efforts to bring to justice those who were responsible for the terrible events of a year ago. In our own experience dealing with terrorism in recent years, in the U.S., we have learned some painful lessons. Among those lessons, we have learned that rushing to justice or making an overly broad definition of terrorism can erode fundamental freedoms and undermine public confidence in government. We learned those lessons the hard way. It is our hope that our friends in Turkey will avoid making some of the same mistakes that we have made,” he said. Can you believe that! I had to grip my jaw with whitening knuckles to prevent it dislodging itself from my face and crashing to the floor in an explosion of outraged incredulity! The US government has, we are to understand, learned from its inhuman slaughtering of innocent Afghan, Iraqi and Libyan citizens in a calculated response to perceived “terrorism” that we, and they, know to have been based on lies and deceit at the highest level. We are further to believe that, in future, Washington’s response to terrorist attacks will be “justice and tolerance”! If there were the remotest possibility that this pious sermon might actually reflect the dawning of a new Age of Aquarius in the corridors of US power, we might have cause for rejoicing – but who does he think he’s fooling? Behind Bass’s mealy-mouthed words lurks a veiled threat to Turkey’s government. Stop “witch-hunting” those connected with the 15 July coup attempt, and stop hassling us to extradite Fethullah Gülen. Above all, stop trying to find links to us. Fall back in line like the good little loyal unquestioning NATO ally you always used to be, and everything will be fine. Oh, John B! I feel so broke up, I just want you to go home! Nevertheless, maybe there is some wisdom the rest of the world can take from John Bass’s advice to “avoid making the mistakes that the U.S. made”, and not just with respect to “terrorism”. Maybe we can all try harder to be satisfied with what we have, rather than constantly and selfishly grasping, by force or guile, an unfair share of the world’s resources for our own creature comforts. We can possibly realise that a never-ending quest for material comfort and pleasure results in psychological and spiritual damage that is irreversible. “More than 100 people were shot in Chicago over the course of one of the bloodiest Fourth of July weekends in the city’s recent history. Meanwhile, the USA is the only G7 country still inflicting capital punishment, placing it on an unattractive list of 58 worldwide. In state prisons, African-Americans are incarcerated at 5.1 times the rate of whites.